The Loire River should hold a special place for New Orleanians, as our city is named after the city of Orleans, France, notably located at the point where this river makes its turn toward the west as it flows to the Atlantic Ocean. For wine lovers, the Loire Valley is an important region producing an array of wines using some of the most famous and popular grape varietals. This is an area with a rich history, known for Joan of Arc, the 100 year war, and Leonardo da Vinci’s final resting place. As the seat of French royalty, before the capital was moved to Paris, the Loire River is overlooked by many castles and chateaus dating back to the 12 century. This is a wonderful region to visit for history and wine and I was fortunate to spend a few days there. This is an agricultural region in general but it is also the home of the famous grape varietals of Sauvignon Blanc, Chenin Blanc, and Muscadet (or Melon de Bourgogne) and these prosper is different sections of the valley as the river flows from east to west from the center of France to its mouth near the city of Nantes. The center of France, is the eastern end of the wine region and is often considered the original home of Sauvignon Blanc, a variety that has made its way across oceans and blossomed in the U.S., South Africa, and New Zealand. The vines here produce unique grapes, growing on ancient seabed soils with names such silex, kimmeridgian and Oxfordian limestone producing some of the best sauvignon blanc wines in the world around the towns of Sancerre and Pouilly-sur-Loire. The wines are bright and refreshing and perfect accompaniments for grilled fish and raw or cooked oysters. As the north flowing river reaches the city of Orleans, where Joan of Arc led the French to victory over the English in the 1400s it makes it famous leftward bend towards the west and the reaches the regions of Touraine and Anjou-Saumur. The city of Tours anchors the Touraine and is surrounded by the wine regions of Vouvray (known white wines) and Chinon and Bourgeil (mostly red wines). Grape varieties also change; Chenin Blanc is predominant for white wines while Cabernet Franc, a blending wine in Bordeaux, is the major grape for red wines. Numerous castles overlook the river and the original French royal emblem, the fleur-de-lis, adorns many a stained glass window. 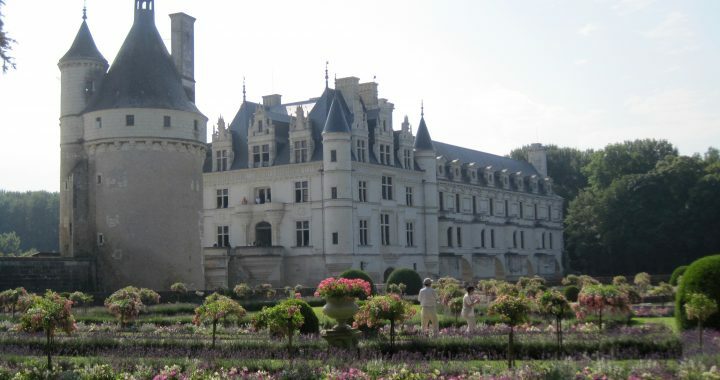 Leonardo da Vinci spent the last years of his life (in the 1500s) here and is buried at Chateau Amboise, the home of his admirer and benefactor King Francis I. If one ever wondered why da Vinci’s Mona Lisa is in the Louvre Museum in Paris and not somewhere in Italy here is the answer. It was one of the three paintings that Leonardo brought with him when he came to France as he accepted King Francis’ invitation to retire in the Loire Valley. Da Vinci is also reputed to have helped in the design of Chateau Chambord with its 365 chimneys and one of the most spectacular castles found anywhere in the world. This region along with its neighbor Anjou-Saumur produces all types of wine, dry reds and whites, sparkling, rose and some amazing sweet wines. The towns of Saumur and Angers are located further west in the wine region often clubbed together as Anjou-Saumur. The grape varieties are similar to those found in Touraine with Chenin Blanc as the main white grape. 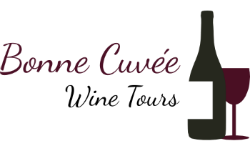 This region produces many affordably priced wines since they are not as well-known as other wine regions in France. Angers, with its spectacular castle made of schist rocks also is the location of one of the most famous French tapestries, the Apocalypse, depicting scenes from the book of Revelation. It is amazing that this work has survived, albeit in sections, since the 1300s despite all the wars and tumult of the French Revolution. Right outside the Chateau d’Angers is a little restaurant that I ate the best crepes ever, washed down with Rosé d’Anjou wine at lunchtime. The last and western most wine region in the Loire is Nantais, surrounding the city of Nantes. Several tributaries of the Loire river meet here before it empties into the Atlantic. The main grape variety is melon de Bourgogne, often referred to as Muscadet, which is actually the name of the wine region. These white wine are mildly flavored, crisp and light and are often allowed to age for months on the dead yeast cells (sur lie) providing them with aromas of baked goods. The proximity to the Atlantic also make them perfect for accompanying seafood such as oysters and other shellfish. The trip down the Loire river is a great learning experience with lessons in history that can be refreshed with a variety of wine to suit nearly all tastes and the majesty of the chateaus arising over the river is an unforgettable experience.